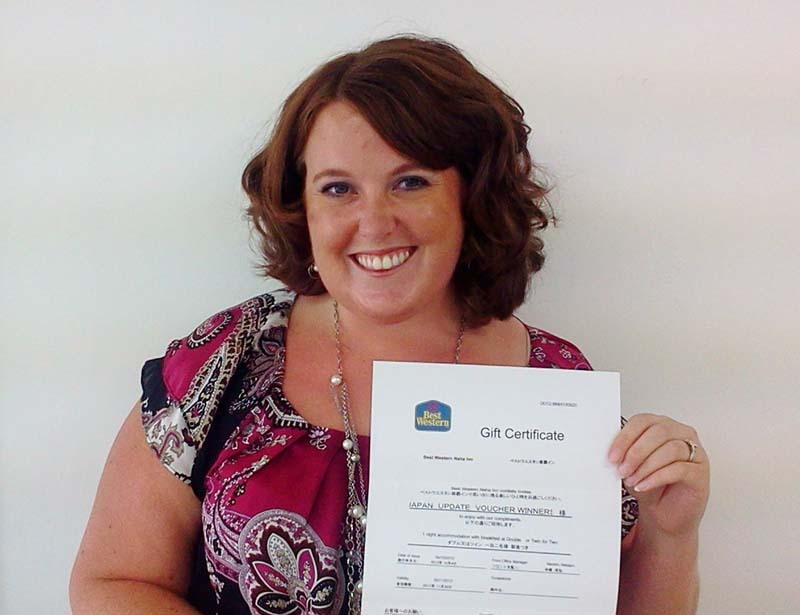 Melissa A. Duncan is this week’s lucky winner of the Japan Update weekly raffle. She won a free one-night stay for two at the Best Western Naha Inn, a business hotel located within walking distance of Kokusai Street and its myriads of restaurants, Heiwa Dori shopping are and other interesting spots in Naha. 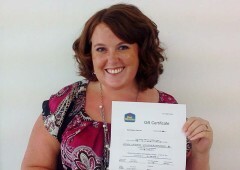 Melissa is from South Carolina and has been on Okinawa one year. She still has two years left to experience Okinawa and Japan as much as possible as whe won’t be leaving until November 2014. While she is here, she is planning to see as much of Okinawa as possible. “While I’m here, I want to visit every corner of the island, and see everything here is to see. And I also want to explore some places in the mainland Japan, too,” she says.